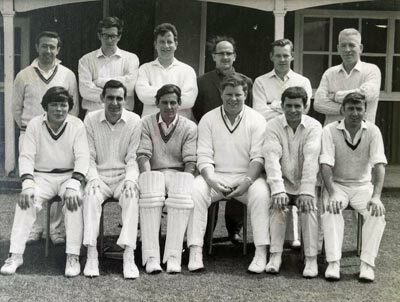 It is with very deep sadness that we have learned and must report the passing of one of Strabane Cricket Club’s most reverently respected former players, Eddie McGurk (pictured second from left in front row in Strabane team that won the 1969 Irish Junior Cup). Eddie followed in the footsteps of his father Con and represented Strabane with distinction, at both Senior and Intermediate level, for almost 20 years. A slow, left-arm orthodox spin bowler, Eddie was an one-Club man who, following his retirement, served as a Club officer and selector, before excelling as a North-West Senior umpire. During his umpiring career, Eddie gained the respect of the wider cricketing family through his fairness and honesty. The term ‘gentleman’ is an oftentimes over-used modern day description but in Eddie’s case it doesn’t come close to paying him the respect that his life deserves. On behalf of the Officers, Committee, players and members of Strabane Cricket Club, we would like to offer our sincere and heartfelt condolences to Eddie’s family at this sad time.